Porcelain veneers are the ideal choice for restoring your smile if you are facing numerous cosmetic issues, such as tooth stains, chipped or misshapen teeth, and gaps in your smile. At Fischl Dental Associates, Drs. Paul and Marie Bradley Fischl offer expert cosmetic dentistry services. With a new set of porcelain veneers, you can restore your smile, feel more confident when speaking and laughing in public, and boost your self-esteem. Porcelain veneers are built out of an advanced ceramic material, and are designed to fit perfectly over your existing teeth, replacing the exterior chewing surfaces. By doing so, porcelain veneers can treat almost any cosmetic flaw, and provide you with a bright and beautiful smile. The veneer placement process usually only takes two appointments at our office, over a period of 2-3 weeks. During your first appointment, Dr. Paul or Dr. Marie Bradley Fischl will clean and numb your mouth, then remove an extremely thin layer of enamel. The amount of enamel removed is equal in thickness to the veneers that will be placed on your teeth. This is done to ensure that the veneers fit seamlessly over your teeth and look completely natural. Then, we will take images of your mouth and dental impressions. Over the next 2-3 weeks, we will work with a third-party dental lab to create a set of veneers that look natural, and fit into your mouth perfectly. In the meantime, you’ll be sent home with a temporary set of veneers. Once your permanent set arrives, you’ll come back to our office to have them permanently affixed. During your second appointment, we will check the fit and finish of your veneers and make minor adjustments, if necessary. 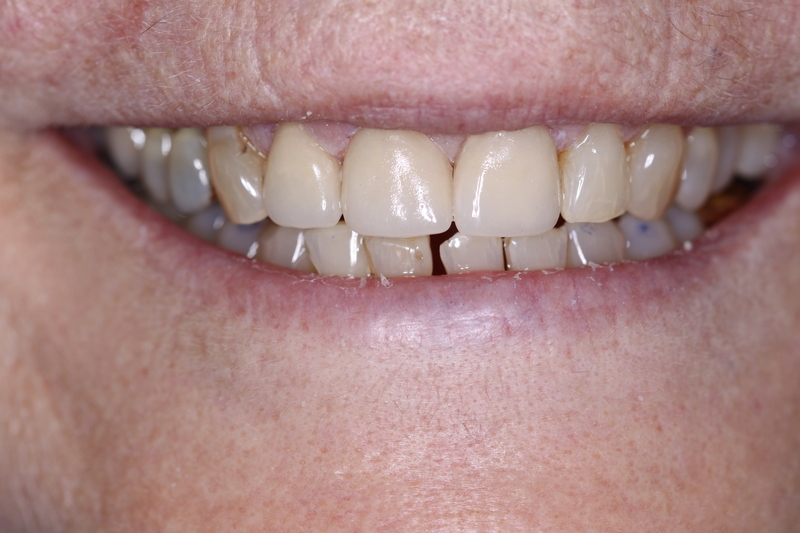 Then, Dr. Paul or Dr. Marie Bradley Fischl will bond your veneers into place permanently using dental cement. Next, they’re buffed and polished for a bright shine and a smooth, natural finish. Porcelain veneers have a number of different benefits. First, veneers look and feel completely natural. They are indistinguishable from your natural teeth, and nobody will be able to tell that you have had cosmetic dental work done. Veneers also do not require any special care. Simply brush and floss properly, and see us for your regular six-month teeth cleaning and oral exam. 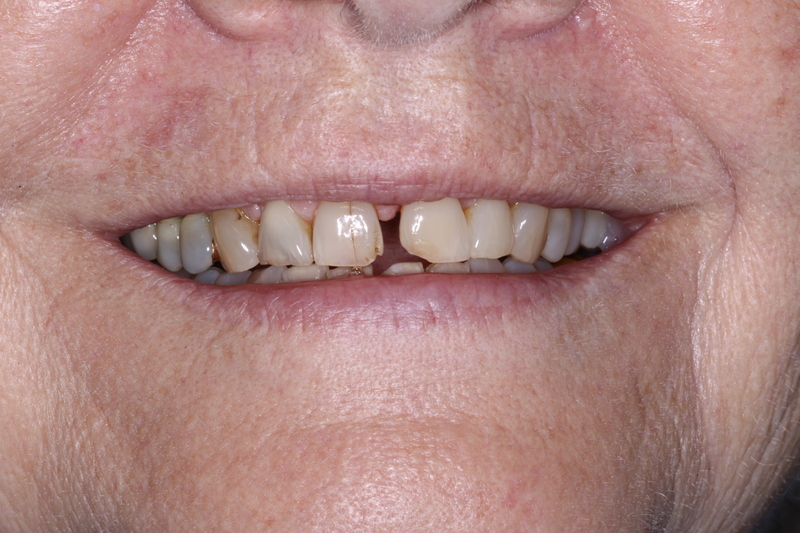 Veneers are also non-invasive. Only a very small amount of enamel is removed, and there is no need for any type of oral surgery, making this an ideal option if you have dental anxiety, or simply do not like the idea of cosmetic dental surgery. Since the entire process takes just two short appointments over a few weeks, it’s easy to get the smile you’ve always wanted, without the wait. Ready to get started with veneers? Schedule a consultation with Dr. Paul Fischl or Dr. Marie Bradley Fischl today. You can give us a call at (847) 864-0822, or stop by our office at 636 Church Street, Suite 200 W, Evanston, IL 60201 to make your appointment.